In this Photo Effects tutorial, we'll learn how to quickly and easily add rays of sunlight to an image with Photoshop! I'll be using Photoshop CS5 throughout this tutorial but any recent version will work. The final "light rays" effect. 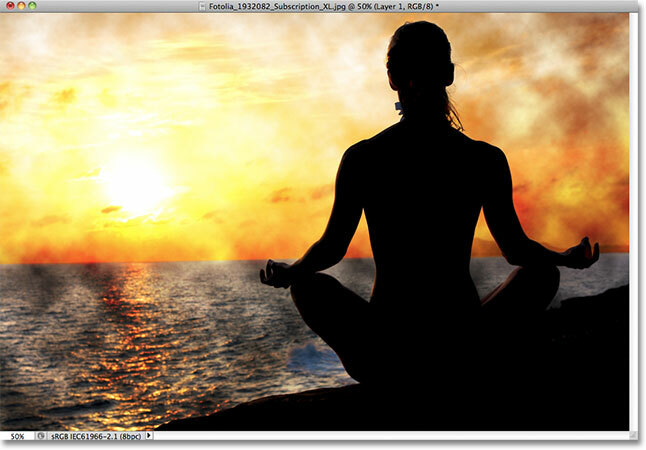 Photoshop adds a new layer named Layer 1 above the Background layer. The image after running the Clouds filter. Change Layer 1's blend mode from Normal to Overlay. The Overlay blend mode gives everything a higher contrast look. Set the Blur Method to Zoom and the Amount to around 90. Click inside the box and drag the blur center where you need it (or close to it, anyway). Set the Quality option to Draft or Good to preview the results on slower machines, otherwise set it to Best. The image after running the Radial Blur filter. Go to Edit > Undo Radial Blur, or press Ctrl+Z (Win) / Command+Z (Mac). 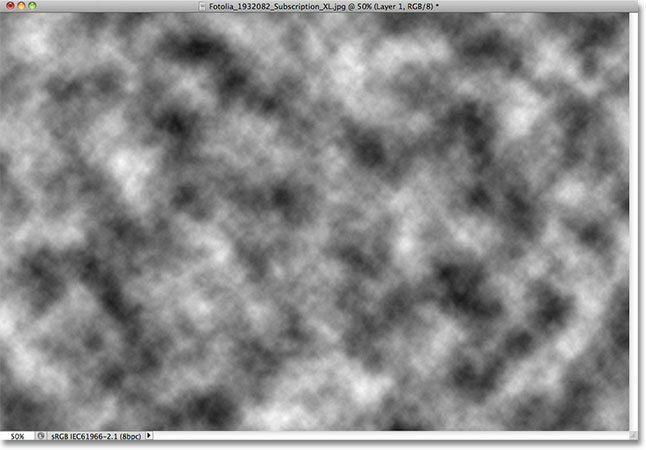 Hold down Alt (Win) / Option (Mac) and go to Filter > Radial Blur. This will re-open the Radial Blur dialog box. Drag the blur center to a new position or change the Amount value if needed, then click OK to have Photoshop run the filter again. You can undo the filter, make changes in the dialog box, then re-run it as many times as needed until you're happy with the results. Also, if you previously ran the filter with Quality set to Draft or Good and you're satisfied with your Blur Center and Amount settings, make sure to undo the filter and re-run it with Quality set to Best. Lower the opacity of Layer 1 to reduce the intensity of the light rays. Changing the blend mode from Overlay to Soft Light. The same light rays effect, this time with the blend mode set to Soft Light. And there we have it! That's how to easily add rays of sunlight to an image with Photoshop! Visit our Photo Effects section for more Photoshop effects tutorials!